I'd like to show you INTO THE BLUE, a new game for the Game Boy I just released on this website. The goal of my project was to create a game that looks and feels like a commercial game from back in the day. The result is a puzzle game that plays similar to Tetris Attack. This game is a homebrew, so it doesn't use any other game's engine or assets. Panel de Pon or Puzzle League, not Tetris Attack. Puzzle League isn't my preferred name for the series, but it's still a better name for it than "let's give this female-lead puzzle game a low-effort reskin with mostly male characters because ew girly cooties, then give it the name of a completely unrelated series because we have that little faith in it selling." Thanks! Actually there are plans for a small number of cartridges and I hope that will work out. Looking up the gameplay, it does look a lot like Megapanel...which in turn looks like someone decided to turn one of those "sliding tiles" things into a puzzle game. I was just playing Retroid the other day. Absolutely loved your work, and I'm looking forward to playing this. Still wish you didn't put "official" on the package, though. But from what I have seen, you are doing excellent work! Can't wait to play both of them. Perhaps look into having a run of carts produced? I have no doubt that they would sell well, as Game Boy homebrew carts aren't terribly common, and people pay through the nose to buy Pokemon ROMhack carts. Nonelectronics is usually pretty good about this kind of thing. I recall getting an EMS USB cart that had several mini-games preloaded onto it along with LSDJ. Playing on the real hardware is of course the best solution but it should not stop you from playing the game at all. 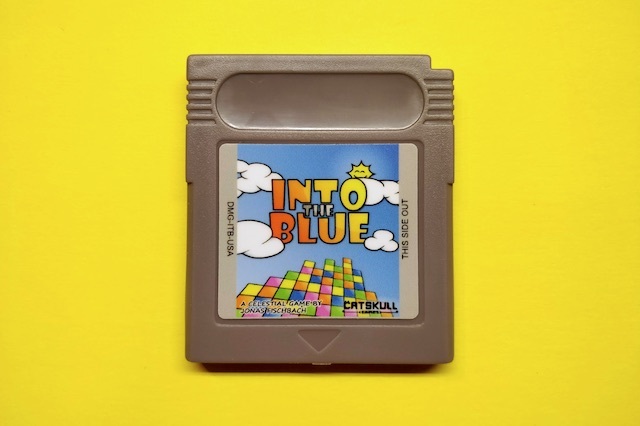 As already said, there are plans for a small number of Into the Blue on cartridges but I don't produce them myself, so I can't guarantee for anything. Retroid already had a very limited run in Germany but unfortunately it's sold out (click here to see the beautiful edition including a box and a manual: https://www.youtube.com/watch?v=0PE4odCYQ5E). Maybe there will be another release in the future. Meanwhile, why not consider buying a flash cart? Prices for an Everdrive are very reasonable if you consider that you can play any game (or ROM hack) you want at any time on the real hardware. I wish you could make the package say ’super official’ instead, since that would make it even more official. I won't forget to put a post in this forum once they're available.